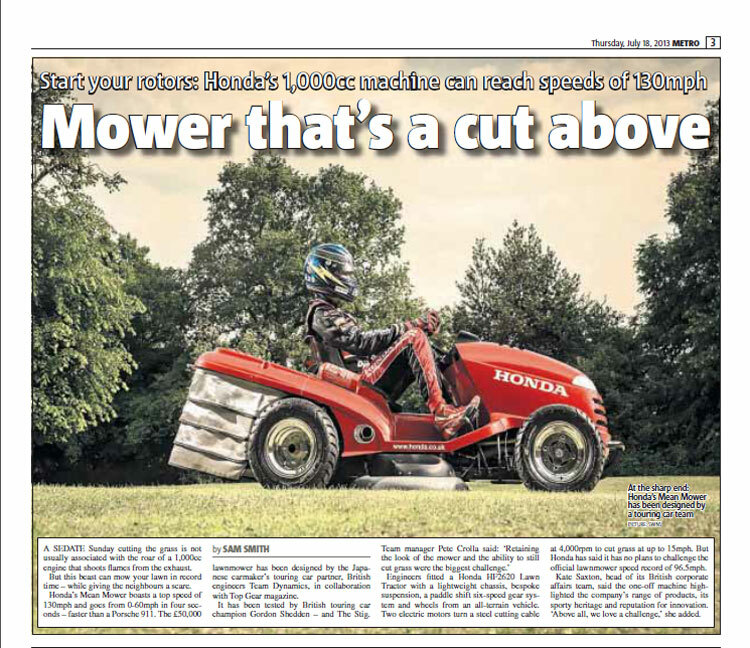 This was a colourful Page 3 story subbed for Metro about a high-speed lawnmower built by Honda. It required a lightness of touch and as many lawn mower puns as possible (hence ‘start your rotors’). You can view a PDF of the original story here.